I have been impressed by the amount of interest and number of folks willing to help our collective efforts to preserve and protect our neighborhood. One of the positives that may stem from this situation is increased community participation. Heather mentioned the notes taped to mailboxes. That was an MPNA board idea delivered by two of our neighbors who regularly walk. On their walks, they have been sticking notes to mailboxes. Since the inception of Cascades Park, several of our neighbors have been engaged and working with City staff. After the amphitheater idea morphed from a “Shakespeare in the Park” venue for 1500 to a “ticketed event” venue for 3500, a more formal arrangement between Myers Park, Woodland Drives and the City was formed. The City was represented by Recreation and Parks and Blueprint 2000 staff. The neighborhoods each had three representatives. This group become known as the Cascades Park Work Group (CPWG) and met regularly throughout the construction of the amphitheater. The procedures used by the Park (hours of operation, noise, traffic, road closures, cleanup and event notification) were a result of the work of this group. Overall this was a successful and productive effort (although there is still a significant noise problem affecting some properties-this was to be mitigated by the wall). At the CPWG meeting in February, the City passed out the map that Mr. Tedder proposed as a “model” for the Parks office rezoning and development. At that time it was passed off as “just some ideas, that may be better than a wall, being kicked around”. At the June Blueprint 2000 Intergovernmental Agency (IA, composed of the City and County Commissions) meeting the sound wall work was suspended and it became apparent to the CPWG that the rezoning/development idea of the Parks office was being offered in lieu of the sound wall. (Prior to June we had been given assurances that the sound wall was proceeding.) As a result of this turn of events the Woodland Drives and Myers Park Boards of Directors began to engage to reinforce the CPWG. The position statements these boards provided on the noise wall and the rezoning/development issue were a result of the boards’ engagement. Representatives from both boards provided testimony at the Blueprint IA September meeting and City Commission October meeting where the rezoning/development issue was discussed. Others also provided testimony at both these of meetings. A significant number of neighbors attended the meeting in support of the boards as well. The position statements submitted by the Myers Park Neighborhood Association board can be read at the links below. Right now, both boards and the CPWG are gathering information and working on strategies to respond to this threat. We expect to be publishing the ideas next week. At that point we all can review, comment, provide additional ideas, and organize our efforts. There will be much work to be done and a lot of help will be needed. Good Evening Neighbors. There is a very interesting and important discussion in the “Sharing of Ideas” section at the conclusion of yesterday’s commission meeting. This discussion occurred after all of us had left so we missed it. Check out timeslice 2:20:40 through 2:33:00. Commissioner Richardson asks for a mechanism to assure neighborhoods that they will be protected from encroachment. The rest of the commissioners basically say (as the Mayor mentioned while we were there) that this is art and not science and that is why elect them: to make these tough decisions. They do not want a standard mechanism – they want a piecemeal process whereby they determine whose ox gets gored. 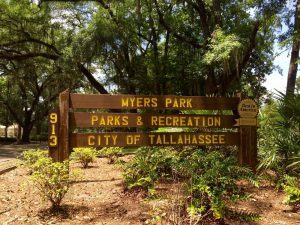 Also in this segment the question of a lot of unused or under-used parks and recreation lands is raised. They want to consider disposing of this land as well to reduce maintenance costs. This segment is an important part of understanding how the commissioners see their role as the “decider” for development. We had a very good turnout for the City Commission meeting yesterday. 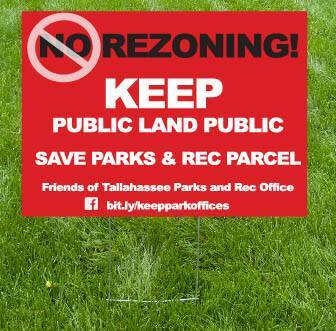 However we were not successful and the Commission voted 4 to 1 in favor of the staff recommendation to move forward with the rezoning and sale of the Recreation and Parks parcel. Commissioner Richardson was the sole dissenting vote and voiced his concern that many in-town neighborhoods are under the sorts of threats that we are facing and urged his colleagues to address this dilemma. In my view this action has created a long-term existential threat to that part of Myers Park with a mixture of densities. The number of non-conforming uses and their relationship to the RP-2 zoning was a significant part of the discussion. You can see the entire discussion at the link below in timeslice 1:11:12 through 2:03:37. I urge all of you to watch this as it is a very good presentation of the issues facing us and the thinking of the current commission. Thanks to all those who called, emailed and/or attended the meeting. Based on the Myers Park/Woodland Drives joint neighborhood meeting on Wed August 24th, the board has issued a neighborhood statement regarding Comprehensive Plan/zoning changes and the proposed development of the City Recreation, Parks and Neighborhood Affairs parcel. Myers Park Neighborhood Association Statement August 27, 2016.